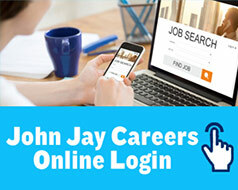 The Center for Career & Professional Development supports the students and alumni of John Jay College of Criminal Justice in defining and achieving career success that is consistent with their worldview while employing the learning, skill-building and coping tools that are a part of their identity and experiences. Through intentional planning, the Center for Career & Professional Development will provide services that are culturally competent and accessible, thereby producing professionals that are civically engaged, self-aware and professionally resilient. We provide opportunities for our students and alumni through a multitude of engagements and programs. These programs include collaborations with alumni and professionals from diverse disciplines and cultural backgrounds, which prepare our students for various stages of their academic and professional development. Community: Our office ensures that our students can identify the partners and mentors of their professional development. We reinforce the value of peer-to-peer and mentor support by encouraging collective conversations, the planning and activities that contribute to their academic progress. We provide a safe space and promote positive relationships in order to build connections amongst students, peer groups, faculty and staff. Our work with students will consistently focus on an awareness of the different cultures and intersections of socioeconomic systems and identities as we continually strive for our students to be leaders in the New York City and global community at large. We acknowledge the different cultures, identities, worldviews and experiences of the John Jay community and encourage students, staff and faculty to utilize these strengths as they participate in career education/development. We incorporate a diverse group of professional mentors from unique, and inclusive professions to promote equity in the workplace. Our work at the center is tied to the concept of connectivity: ensuring that we are creating synergistic relationships between our students, and our internal and external stakeholders. Through career fairs, internship information sessions and other targeted events, we work to connect our students to the opportunities and people who can create meaningful pathways to student success. 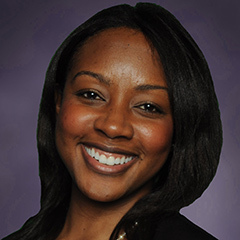 Chantelle is the Director of the Center for Career & Professional Development at John Jay College of Criminal Justice with responsibility for overseeing career services for all students and alumni. She has made student career development her passion for the past 10 years, dedicating her skills and services to CUNY students. Chantelle has worked to provide internships to students, developed and managed peer leadership programs, facilitated conversations and programming on cultural competence and worked closely with employers and other key stake holders to create career services that are appropriate and timely. She received her Bachelor’s degree in Psychology from Morgan State university and her Master’s from Teachers College, Columbia University. Prem Sukhan has a long career of assisting John Jay students and alumni in planning for career success. She currently manages the Career Center's efforts to serve our alumni, our veterans, and liaises with federal government recruitment programs. Ms. Sukhan received her BA in Criminal Justice Administration & Planning from John Jay College of Criminal Justice. 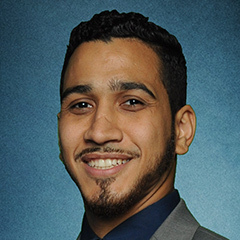 Jovanny A. Suriel, Associate Director at the Center for Career and Professional Development, holds a Master of Education and a Master of Arts in Psychological Counseling from Columbia University Teachers College. He currently is a Mental Health/Career Counselor in NYC and has previously worked in previous roles providing professional and career development for students and early professionals. Jovanny partners with the Dept. of Graduate Studies to support the of programming for professional development and career exploration as well as serves as the Career Advisor for the MPA program. Kristina Simonsen is the Associate Director for Employer Relations at the Center for Career & Professional Development. She has worked in career services for the past ten years, with a strong background in Employer Relations. Kristina plans and organizes the Grad and Career Fairs each semester, amongst various other recruiting events. Her education includes a Bachelor’s degree in Advertising from New York Institute of Technology and a Master’s degree in Higher Education Administration from Baruch College. Katheryn Crawford, LMSW is the Associate Director for Experiential Learning. She comes to John Jay after eight and a half years at Fordham University in The Dorothy Day Center for Service and Justice. Katheryn is a licensed social worker, community organizer and has years of experience coordinating and managing Service Learning and Experiential Learning opportunities. In her multiple roles, she created programs that supported students to connect their academic work to community-based experience and supported faculty in creating and developing Service Learning courses. Her work reflects her passion for creating powerful experiences for students and supporting them to recognize their own power in transforming the world. Katheryn holds a B.A. in History and African/African-American Studies from The University of Texas at Austin, and a M.S.W from Hunter College School of Social Work. Muldy Flecher is the Internship Counselor with the Apple Corps program here at John Jay College. He comes to us from the Young Adult Borough Center at Boys & Girls High School for Good Shepherd Services. 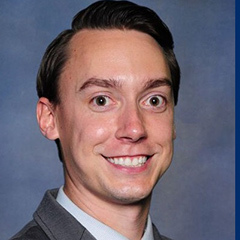 For over five years, Muldy served as the Internship & Career Coordinator where he was responsible for placing students in different internship opportunities throughout New York City along with conducting workshops and work-readiness seminars. Muldy earned his Graduate and Undergraduate degrees from Stony Brook University. David is the Student Career Engagement Counselor at the Center for Career and Professional Development. He has developed various diversity programming and trainings focusing on inclusion and engagement as well as supervising a Peer Educator Program at Montclair State University. His education includes a Bachelor’s degree in Health and Physical Education from William Paterson University and a Master’s degree in Counseling with a concentration in Higher Education from Montclair State University. With a background in youth and workforce development, Digmarie Ruiz has worked in the non-profit sector for over 10 years providing counseling, supervision, and support to NYC youth, assisting them on the path to self-sufficiency. In her various roles, Digmarie was responsible for recruiting, assessing, placing and tracking participants’ progress and ensuring successful completion of programming. Digmarie is also an alumna of Coro Leadership New York, a leadership development training program which utilizes experiential learning to explore New York City’s current policy challenges through site visits and small group interviews with executives, elected officials and community activists. Digmarie holds a B.A. in Psychology/Human Services from Russell Sage College, and an M.A. in Psychology from Pace University. Yelena Meytes is a Licened Clinical Social Worker and Program Manager for CUNY EDGE. She comes to John Jay after five years at an nonprofit organization in Harlem NY, providing college access programs to students, identified as living below the poverty line. In 2010, she conducted field research providing clinical services to Latina American Women ages 18-24 identified as victims of trauma. Yelena holds advanced certificates in Field Instruction, Motivational Interviewing and Project Management. 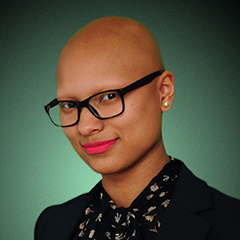 Yelena provides academic, personal and career advisement to Junior and Senior level students in the CUNY EDGE Program. Soheila holds a degree from Berkeley College in Business Administration, concentration in Marketing. She has worked with CUNY EDGE (formerly known as COPE) program since 2007. Before transitioning to full time at John Jay, Soheila provided coverage to 18 CUNY schools overseeing case managers and providing campus-specific support services pertaining to the HRA Work Study Program. In addition, Soheila has vast experience in Human Services. Soheila Fortuna provides academic, personal and career advisement to Freshman and Sophomore level students in the CUNY EDGE Program. Amorita Jones is the CUNY EDGE Attendance Monitor & Program Assistant. She came to John Jay after years of experience in Career Services at Borough of Manhattan Community College. She is currently pursuing a degree in Social Work at Lehman College and will be moving forward toward a master’s degree. Betsy Gonzalez is the Assistant to the Senior Director for the Center for Career & Professional Development. She manages the front desk and reception area and assists students with information. Betsy previously worked for the John Jay Department of Information Technology Helpdesk and has been employed at John Jay since 2007. Jessica Lawes has over 9 years of workforce development experience in private and not for profit organizations throughout the five boroughs. In 2016, Jessica pioneered a workforce development pilot program in partnership with Fedcap Rehabilitation Services, Human Resources Administration and the Department of Homeless Services to provide career readiness in NYC shelters. Throughout the past year she has been dedicated to enriching the lives of the students in the CUNY EDGE program at Kingsborough Community College with career development, professional and academic advisement. In the spring of 2019 she will begin pursuing a Master of Arts in Psychology specializing in Industrial & Organizational Psychology at CUNY School of Professional Studies. She achieved her BA Business Administration with focus in Marketing at the University of Puerto Rico Arecibo Campus. If the office is open--drop in anytime!